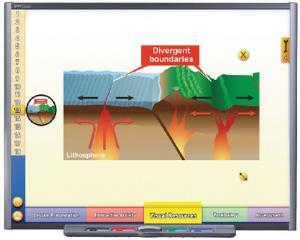 Explore theories and concepts of movement and energy transfer beneath the earth's surface with this interactive lessons that covers topics including Earth's Interior, Types of Heat Transfer, Continental Drift, Sea-Floor Spreading, and the Theory of Plate Tectonics. Also includes Virtual Lab Investigation: Plate Tectonics Simulation. Recommended for grades 6-12. Meets national science standards and state standards for California, Florida, New York, and Texas.